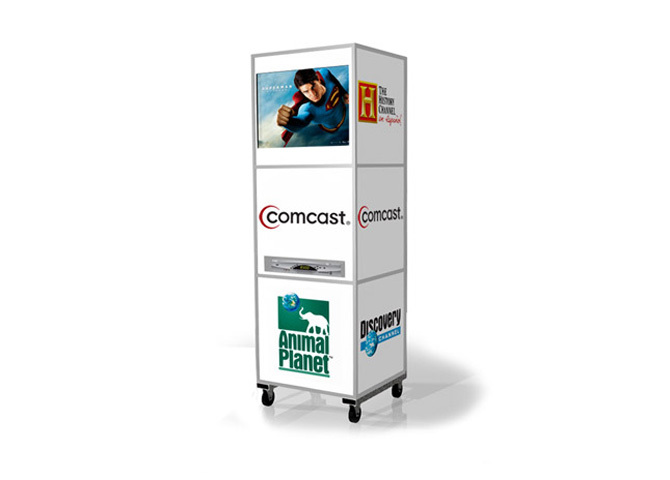 Digital Video Cubes gives you the flexibility to deliver your message from a single-screen unit to a multi-screen wall. 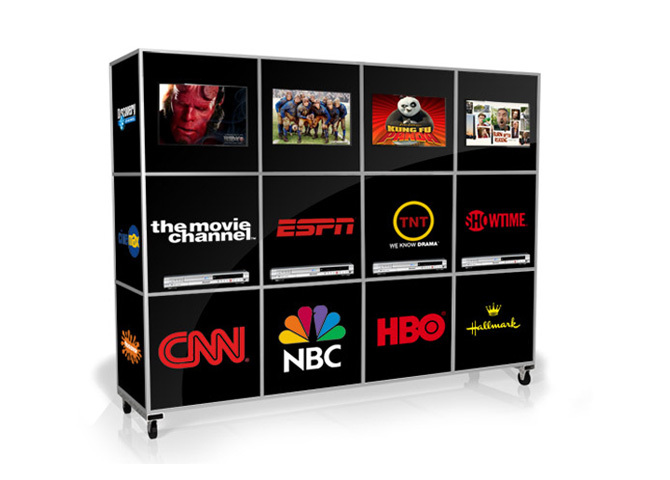 Each unit comes with a video source such as DVD player; a high-quality monitor and other electronic components. 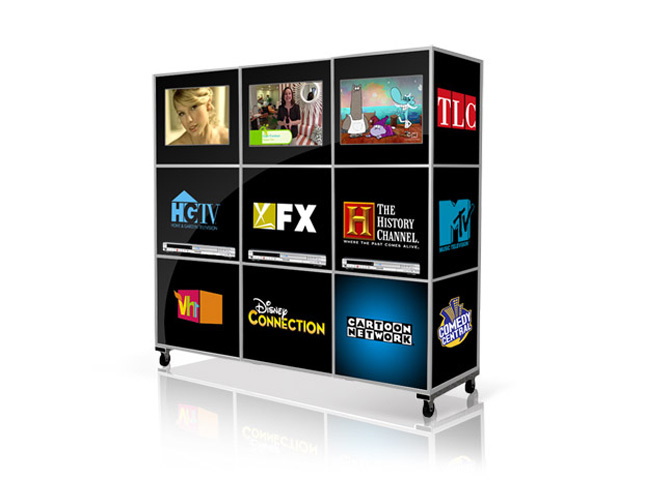 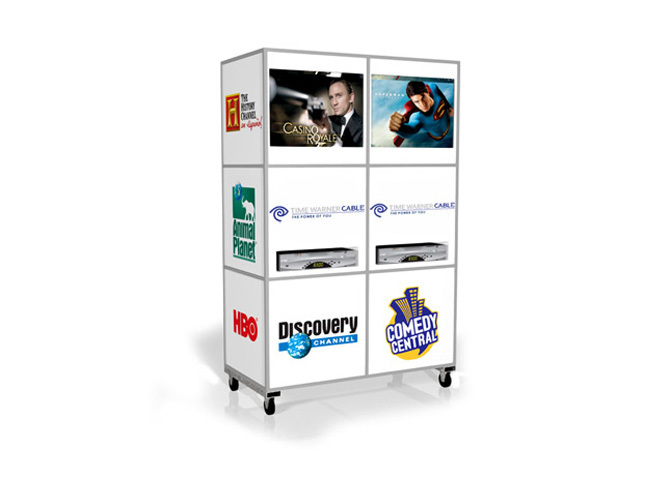 DVCs can be used as permanent setups in your office, showroom, or as a mobile unit. 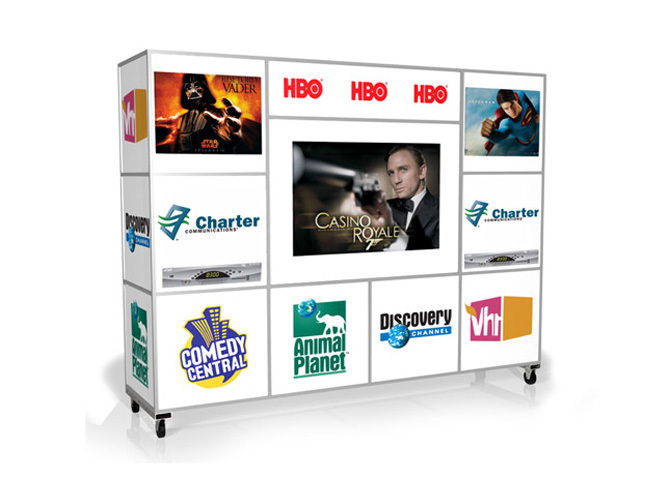 A wide variety of customized, interchangeable signage packages are available.